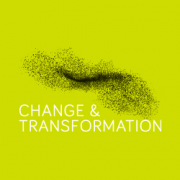 Oliver manages and leads his own business delivering transformational change programmes to businesses of all sizes across the UK. An expert coach and facilitator, Ollie has been working in organisational development since University where he rose to the top of student organisation AIESEC as International President based in Brussels. After a number of years working at Raleigh International heading up their Youth At Risk team (and becoming a key member of the board) Ollie moved to Common Purpose where he quickly moved through the ranks to Managing Director of their Customised Business. Ollie is known for his exceptional facilitation skills which are underpinned by his ability to build productive working relationships with clients from all backgrounds. His understanding and application of key leadership and organisational development theories combined with these facilitation skills means that his work has real, lasting impact.